A backup computer that controls “some systems associated with robotics” on the International Space Station is not “responding to commands”, NASA said in a late-night statement Eastern time Friday (April 11). The crew is safe, there’s no “immediate” change to space station operations, and because the primary computer is working, there’s also no alteration to the SpaceX Dragon launch to the station on Monday — which requires the robotic Canadarm2 for berthing. NASA added, however, that there are “further evaluations” going on, meaning the date could change depending on what controllers figure out. If the computer does need to be replaced, crew members of Expedition 39 will need to do at least one spacewalk, the agency added. NASA is allowing contingency spacewalks in American spacesuits to go forward as the agency addresses problems raised in a report about a life-threatening spacesuit leak in July. Below the jump is the statement NASA put out tonight concerning the situation. The Mission Control team at NASA’s Johnson Space Center in Houston confirmed Friday night that a backup computer on the exterior of the International Space Station (ISS) called a Multiplexer-Demultiplexer (MDM) is not responding to commands. The station’s MDM computers control some systems associated with robotics aboard the space station. The primary MDM operating aboard the space station is functioning normally and there is no immediate impact to space station operations. 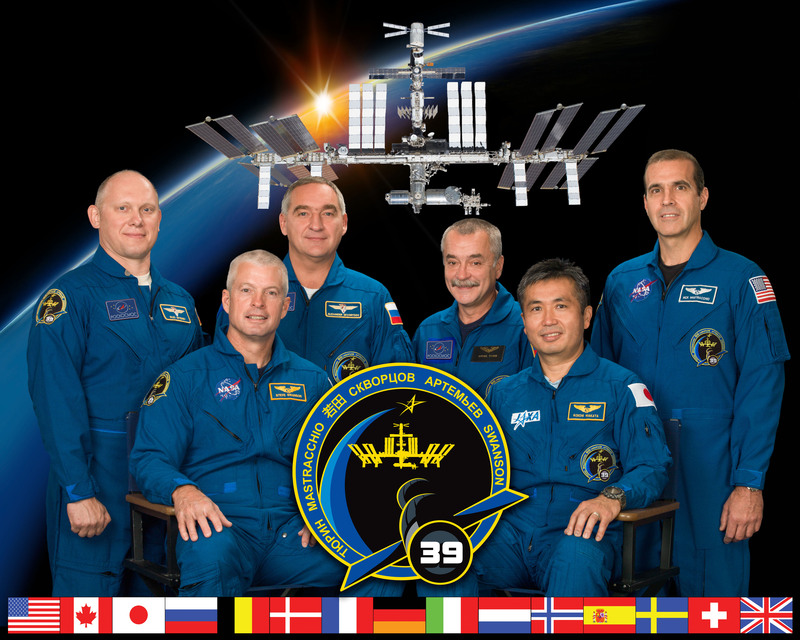 The computer outage does not pose a risk to the six crew members aboard the space station. ISS teams are assessing next steps to attempt to bring the computer back online or replace it. Replacing the backup MDM, if needed, would require a spacewalk. The backup MDM would provide redundancy for robotic systems that will be needed to attach the SpaceX Dragon spacecraft currently scheduled to launch on Monday and rendezvous with the ISS on Wednesday. NASA is continuing to work toward a Monday launch of the SpaceX cargo resupply mission pending further evaluations by the ISS Program. The latest information will be available here at www.nasa.gov/station. We will keep you apprised as the situation progresses.